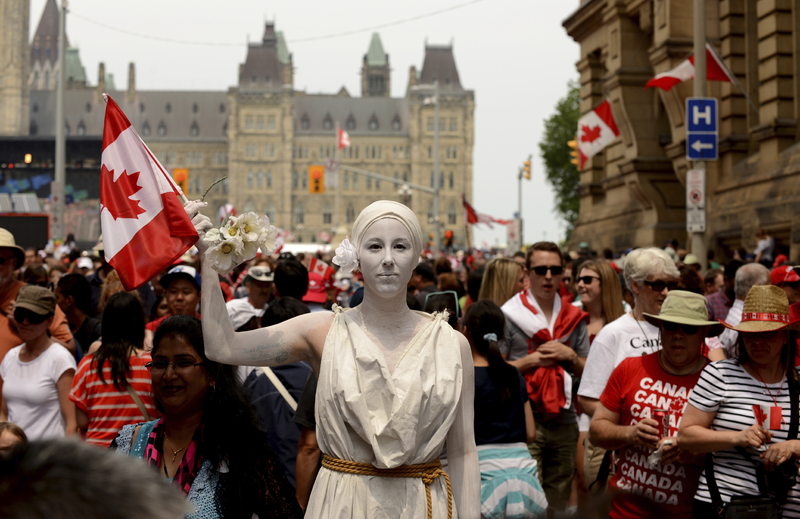 When it comes to Canada Day, you'd be hard-pressed to find anywhere that exhibits the same level of patriotic fanfare as Ottawa. Every July 1st, the capital city of Canada celebrates its nation's birthday with revelry and excitement. The city's festivities draw more than 30,000 red-and-white-clad participants from across the country and beyond. 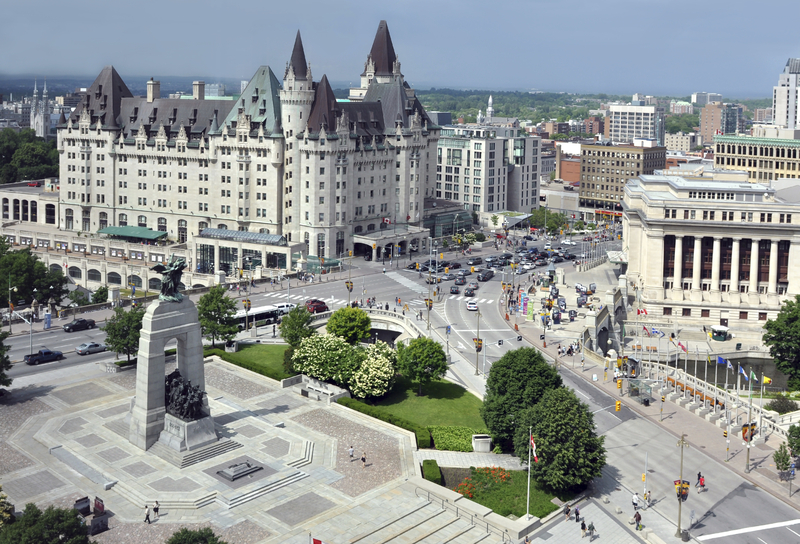 If you're fortunate enough to be visiting Ottawa on Canada Day, experience the atmosphere of excitement and celebration from within the walls of the majestic Fairmont Chateau Laurier. Modeled after a 17th-century French chateau, its luxury accommodations put you at the centre of the bash, enabling you to soak up the atmosphere while enjoying sanctuary from the crowds. Nonetheless, to fully experience Canada Day in all its maple-leafed glory, you'll need to step outside the walls and join in. Before you do, a breakfast of regionally themed culinary classics overlooking the picturesque Rideau Canal is the perfect way to start the day. Wilfrid's Restaurant features a bountiful, elegant breakfast buffet complete with an indulgent eggs benedict bar and exceptional maple crepes. 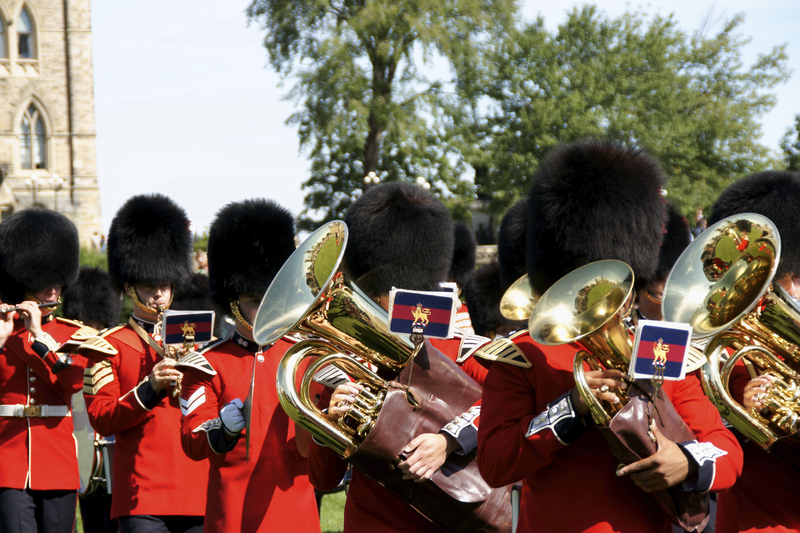 After breakfast, head to Parliament Hill for the ceremonial Changing of the Guard. You’ll want to time your arrival to be 30 minutes early, so you can secure a good vantage point near Elgin Street to watch the red-coated Guard march toward Parliament Hill just before the hour. Bedecked in their ceremonial coats and bearskin caps, the Guard is accompanied by the commanding regimental band and stirring bagpipes. The ceremony, filled with 19th-century military pageantry, evokes a bygone era and stokes the fires of patriotism, setting the tone for Canada Day. After the Changing of the Guard, the city of Ottawa is your oyster. Celebrations take place throughout the city, with the majority of the festivities occurring at Parliament Hill, Major's Hill Park and Jacques-Cartier Park. These three spots are close to one another, each offering a slightly different atmosphere while catering to the broad demographic of revelers. Family friendly Jacques-Cartier Park, next to the Canadian Museum of History, features puppetry, performing arts and games. Major's Hill Park (downtown Ottawa) is a beautiful spot and one of the most popular destinations, due in part to hosting live concerts throughout the day, hands-on demonstrations and sports activities. 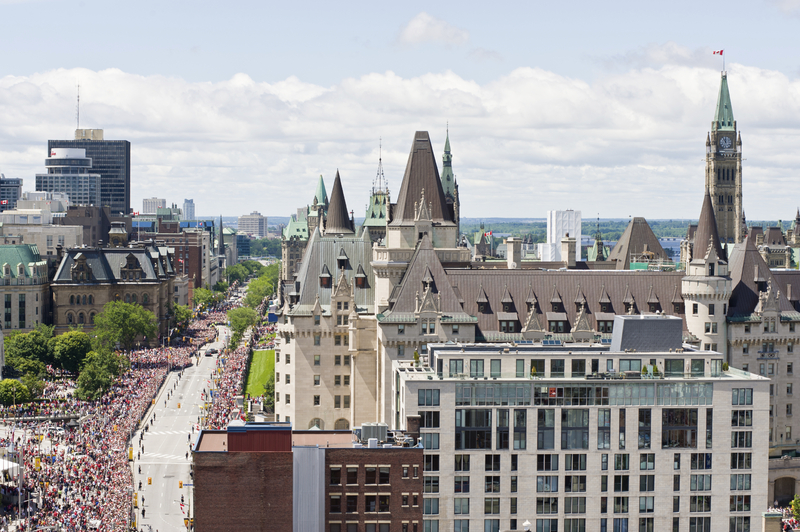 Parliament Hill offers the more traditional Canada Day celebrations, and affords viewers the best vantage point to see the aircraft flyovers by the Canadian Snowbirds and CF-18s. 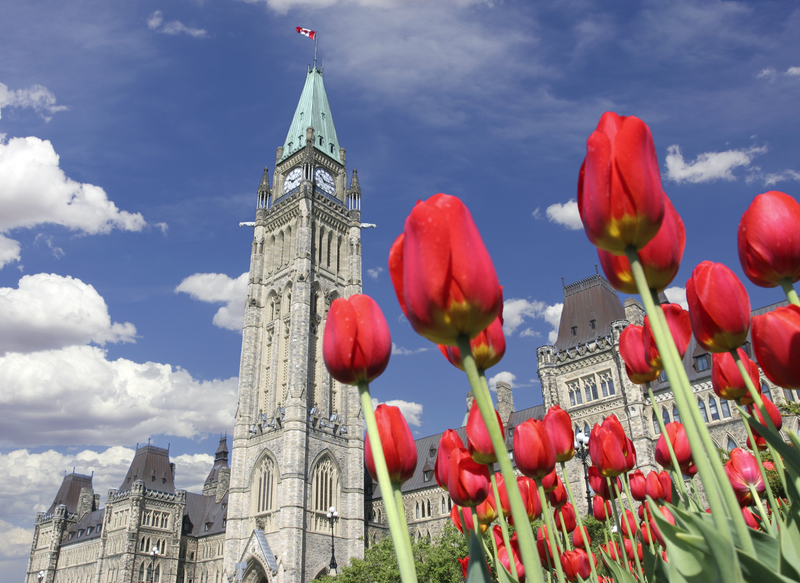 Locals and savvy visitors head to Ottawa's national museums on Canada Day. Why? The museums offer free admission for the day and often host free concerts, demonstrations and activities for their guests. The Canadian Museum of History celebrates Canada Day with families and music. The rest of the year, the museum brings Canada's history to life. It’s earned its reputation as the most visited museum in the nation because of exceptional collections dating back to the 1850s. Among the noteworthy collections is the largest indoor collection of totem poles in the world and more than four million artifacts including First Nations items. Across the Ottawa River, the nation's collection of art is on display at the National Gallery of Canada. The storied museum features works by the "Group of Seven," comprised of seven prominent Canadian landscape artists working from 1920 to 1933. Be sure to view the impressive Gothic Revival-style Rideau Chapel, which was deconstructed and rebuilt within the gallery to preserve its artistry. In addition to free admission on July 1st, try to catch the schedule free gallery talk about the Chris Cran, Sincerely Yours exhibit. As the sun sets, you’ll need to plan in advance to get the best seats for the breathtaking fireworks show. The fireworks are launched over Ottawa River from Nepean Point, just behind Parliament Hill. One of the best (and lesser known) viewing spots is La Terrasse patio. This intimate setting offers views of Parliament Hill and Rideau Canal, and it’s the only spot where you can savour perfectly handcrafted White Rosemary Sangria as you marvel at the skies lit up with colour. For a more exclusive vantage point, reserve a private yacht and sail out on the Ottawa River for completely unobstructed views and your private celebration. The skilled captain and crew handle all the details, which means you simply relax from dusk until the end of the fireworks. Ask your Fairmont concierge to reserve the yacht for you as far in advance as possible, to ensure your private spot on the river for the fireworks. Don’t forget to ask them to arrange for tapas and desserts from La Terrasse for your dining pleasure as you enjoy the show. Whether you're Canadian or not, Canada Day offers an unparalleled opportunity to celebrate Canada's vibrant history through immersion in its diverse culture. 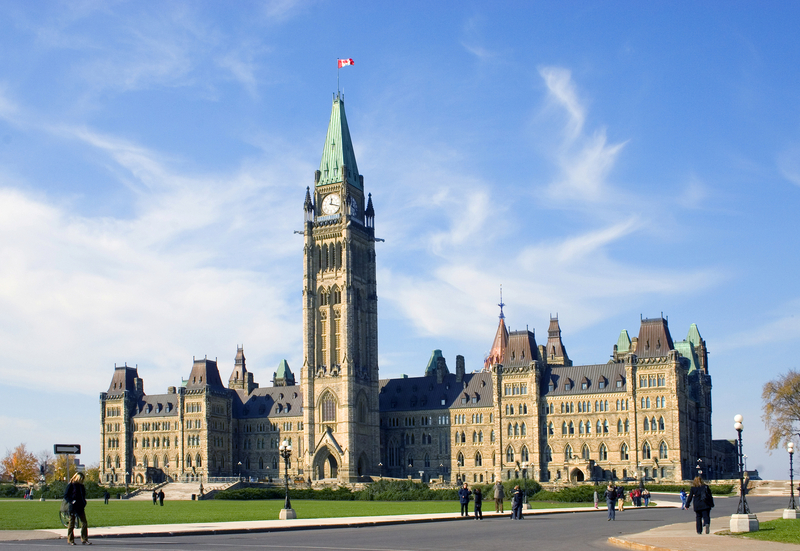 Only in the nation's capital can you experience the cultural influences of First Nations, French and English cultures, soak in the colourful pageantry of the Changing of the Guards ceremony and the prestige of Parliament Hill and explore the nation's most treasured museums. Indeed, Ottawa offers the perfect spot to celebrate Canada Day.